Claremont, Calif. (June 17, 2016)—Pitzer College Assistant Professor Suyapa Portillo Villeda ’96 was recognized for her LGBTI (lesbian, gay, bisexual, transgender and intersex) advocacy work with the Handkerchief “Color of Freedom” award from Cattrachas, a Central American nonprofit LGBTI organization. Portillo Villeda, who teaches Chicano/a-Latino/a Transnational Studies at Pitzer, is the author of Honduras LGBT Landscape Analysis of Political, Economic & Social Conditions, a report produced by Astraea Lesbian Foundation for Justice as part of the Lesbian, Gay, Bisexual and Transgender Global Development Partnership in 2015. In May 2015, she was invited to the White House, along with other national leaders of LGBTQ people of color, for off-the-record talks about the future of their community. An expert on Central America, Portillo Villeda has penned numerous op-eds, including for La Opinión and The Huffington Post, where she writes for the Latino Voices blog. She examined the Honduran organized resistance movement and its historical antecedents in a chapter in Rethinking Latin American Social Movements: Radical Action from Below. Portillo Villeda’s current research focuses on the Great Banana strike of 1954 in Honduras, exploring how the striking workers influenced the formation of the country’s labor movement and the nation as a whole. 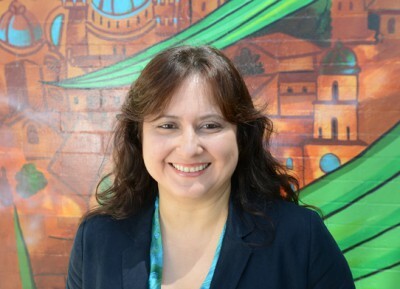 Portillo Villeda earned her BA from Pitzer College, her MA and PhD from Cornell University. Cattrachas is an autonomous and independent non-profit LGBTI organization founded in 2000 and led by lesbians and transgender activists. The organization employs communication strategies, based on civil society principles, to denounce human rights violations against LGBTI people in Honduras and fights to protect the LGBTI community both in Central America and around the world.